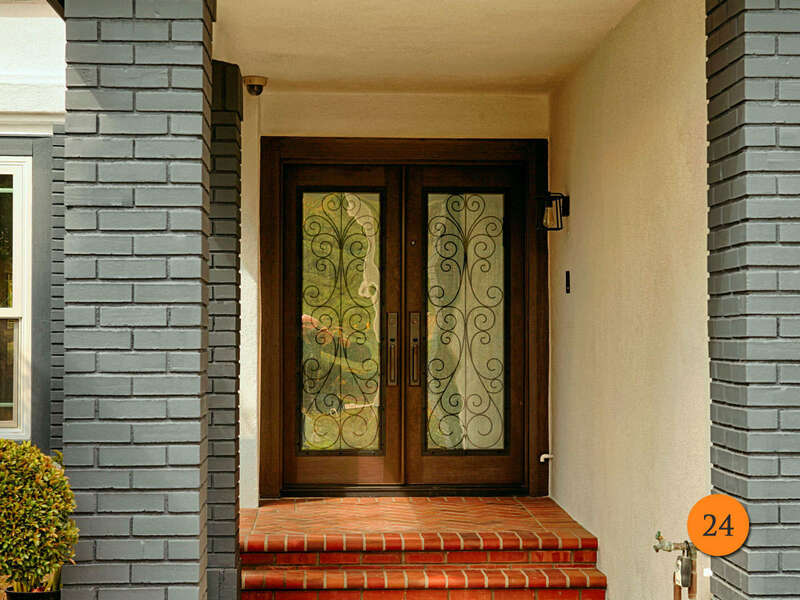 Entry doors can be beautified with the addition of glass. Front entry doors can retain their insulating quality if you install stained glass additions on top of insulated glass. Removal of the raised wood panels should be done carefully. You don’t want to cut into the flat surface areas of the door. Not only will you add light and value to your home, but you will also get an avalanche of positive comments from friends, neighbours and anyone else who gets to see the finished product. You can also add stained glass panels to a door. If you have a traditional six-panel door, you can completely remove the top four panels, the vertical stiles and the horizontal rail. The entire process will generally take less than one day. Keep in mind that the building code mandates that the glass in doors must be tempered. This is a safety feature that prevents serious injury in the event someone thrusts their head, hand or arm through the glass. Tempered glass does not break into shards that slice and spear; it’s the same sort of glass you have in the windshield of a car. It is not as hard to accomplish this job as you might think. You will need a steady hand, a circular saw with a fine toothed blade, a sharp wood chisel, a hammer, a miter box, some small finish nails and a small quantity of decorative moulding. Many of these tools you might already own. If not, you can rent the circular saw and purchase the others. The first thing you need to do is decide what kind of glass you are going to use. To save as much as possible on your energy bills, it’s suggested that you install insulated glass in place of the solid wood panels. complications.